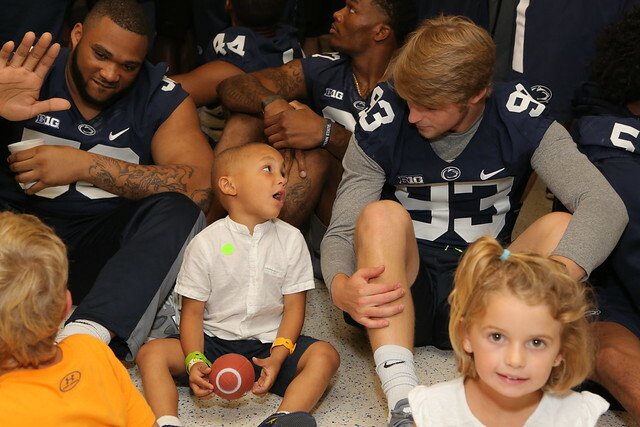 Smiles widened and cheers erupted as more than 100 Penn State football players poured off of buses and into Penn State Children&apos;s Hospital, where they were greeted by a large group of patients, their families and hospital staff. 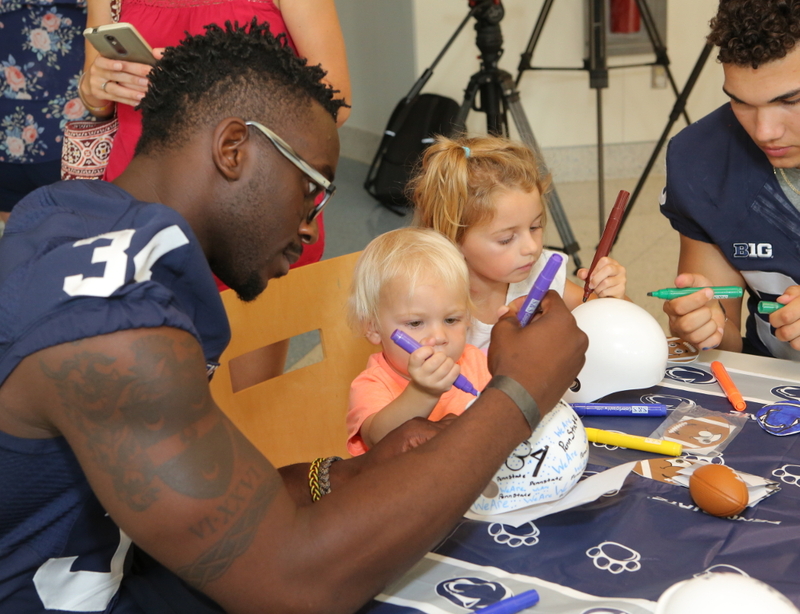 Several players visited patient rooms, while others interacted with patients in the hospital&apos;s Tree House Café, playing games and doing arts and crafts. “Coming to a hospital like this and seeing families and seeing kids that are really fighting true battles – and that hopefully we can be a bright light or a bright moment for them – I think for our guys it does put it into perspective,” Franklin said.